I love this map; it makes fun of every neighborhood! New to Houston? Want to know the layout? 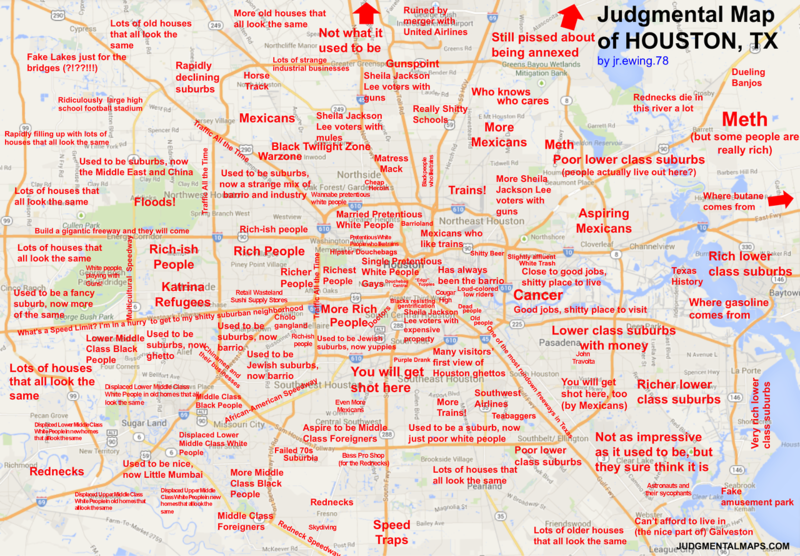 Want to know which neighborhood has: Married pretentious white people? Cheap heroin? Meth? Redneck Speedway? Where gas comes from? It’s all here in one location. If you are offended, I’m sure there is an “Easily Offended” neighborhood for you. I don’t know where to attribute this. The website mentioned is non-functional. I know it had been in Swamplot. Enjoy.